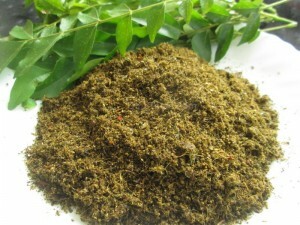 Curry leaves chutney powder is a tasty and a perfect side dish choice. This chutney powder is a well combination with cooked rice, idli or dosa. The ingredients are very less and its very easy to make within minutes when your are in hurry. We use the curry leaves in many dishes. Curry leaves are highly packed with many health benefits. It is high in carbohydrates, fiber, calcium, iron, minerals, Vitamin C, Vitamin A, Vitamin B, Vitamin E, antioxidants etc. Adding curry leaves in the food helps to regulate blood pressure, cholesterol, diabetes, hair flow, belly fat, gastrointestinal problems, cancer etc. Try this simple dish and enjoy! 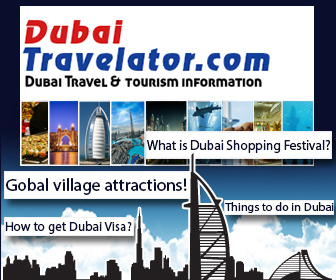 Remove the curry leaves from its stalk and wash it properly with water. Let it dry using kitchen towel. Keep it aside. Heat a pan in a medium flame. Dry roast urad dal till it turn golden brown and keep aside. Then dry roast the curry leaves, grated coconut, red chilly and black pepper. Stir continuously. When the coconut becomes golden brown in colour, remove it from fire. Allow it to cool. Using a mixer grinder, grind roasted urad dal, curry leaves, grated coconut, red chilly, black pepper, tamarind and salt to a fine powder. Tasty Curry leaves chutney powder is ready. Serve it with cooked rice, idli or dosa.